Spend your summer on Lake Bemidji. 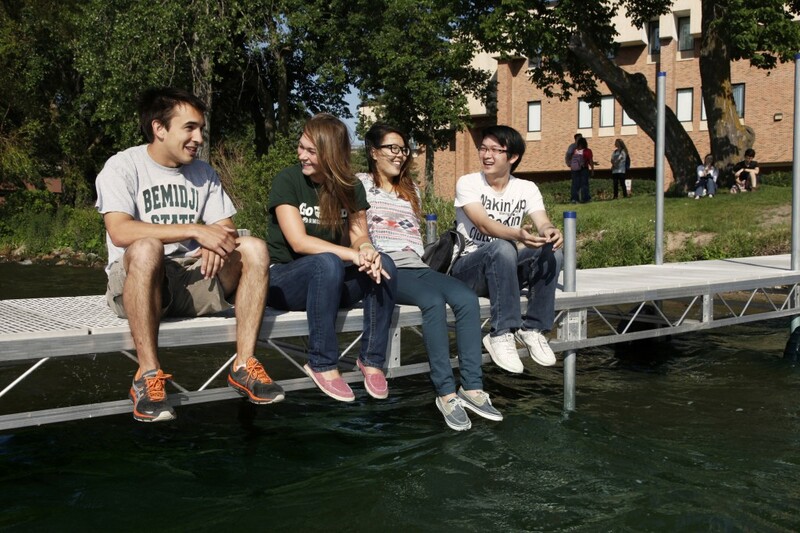 Summer Session students are invited to spend the summer living and learning lakeside. You’ll be just steps away from any building on campus and right next door to the recreational opportunities that Lake Bemidji, the Outdoor Program Center, and the Gillett Recreation-Fitness Center have to offer. Residence hall living offers students opportunities for social and academic interactions. We have on campus summer housing available in Linden Hall, which is located right across the street from Diamond Point Park. Let us be part of your summer experience by staying on campus! We have the flexibility of weekly housing to best align with your summer housing needs. Linden Hall is air conditioned, and are suite style rooms where you have a bathroom in each unit. You do not need to be taking summer classes to live on campus, but do need to be registered for fall semester. We hope you will join us in Linden Hall for the perfect summer experience – the most beautiful time to be in Bemidji! Please contact the Housing & Residence Life Department at (218) 755-3750 or reslife@bemidjistate.edu to get an application. Applications will be available mid-spring semester. We look forward to having you live with us this summer! Northwoods Dining Hall, located in Walnut Hall is the main dining facility open during the summer. Catering is also available on campus throughout the summer. Campus is also close to many area restaurants, several of which offer delivery. For further information and service hours, call the Dining Services Office.